Due to China’s large population, plastic bags had been widely used among people in their everyday lives, an estimation of 3 billion bags daily. In 2008, China banned the commonly used thin plastic bags (under 0.025 millimeters thick) and required extra charge for the thicker bags. These plastic bags contributed to large amount of pollution on beaches, waterways, and other locations. Not only did this create pollution, energy and resources were also wasted in creating and using these plastic bags. 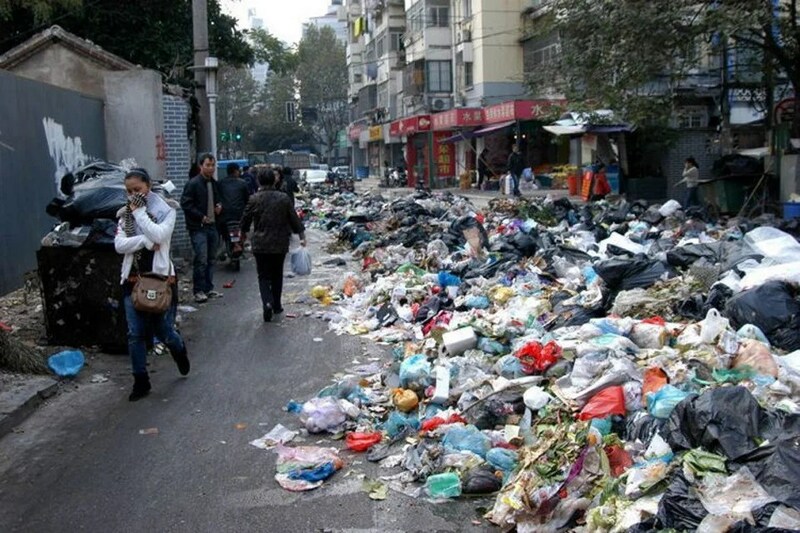 The plastic bag ban in China has definitely seen the positive outcomes. Following the ban, the NDRC reported a 66% decrease or two thirds in plastic bags. Thus allowing China to save 1.6 millions tons in petroleum. Before the ban, China used about 6 million tonnes of oil to create the bags. The ban has also allowed businesses to prosper in creating green plastic bags and more money with the extra charge for the bags. China hopes to replace plastic bags with customer’s own reusable bags and ultimately use biodegradable bags. Despite the ban, many businesses continue to use plastic bags. Stores or markets found using plastic bags are subject to be fined, however smaller businesses continue to use plastic bags. The ban is clearly not enforced enough that would allow businesses to go plastic-free. Routinely or surprise check-ups on such businesses would force owners from using plastic bags at the risk of their business. Although the plastic bag ban has definitely helped decrease the amount of plastic used and produced in China, some plastic bags are still being sold. There is still a long way to go when other countries continue the use of the plastic bag completely. Here in Chicago, a tax requires customers to pay extra for each plastic bag. Although this is helpful, it only slightly helps reducing the use of plastic bags when they are still being produced and sold. There is a clear difference between a tax and a ban. Following China’s (and other countries that have also banned the bags) would allow us to reduce the amount of plastic used and polluted worldwide. This entry was posted in Blog 4, Blog Assignments by joperez701. Bookmark the permalink. I wrote a fairly similar blog post on the plastic bag ban in Mexico City. Considering how dense and rapid the growth of China is, there definitely needs to be regulations made to sale of plastic bag. However, I do believe that there are more important environments regulations that need to be more heavily imposed. I definitely agree, the issue plastic bags needs to be address world wide. Though it’s an inconvenient means for people but the incentives placed on bags in Chicago has definitely motivated the people to bring their own bags from homes. Plastic bags have detrimental causes on people’s health, especially a place like china that health disparities is low. The amount of high valued resources used to create plastic bags is incredible, so saving 1.6 million tons of petroleum is a significant change. Although, old habits die hard and some people prefer plastic bags because they have other uses (such as picking up pet droppings, using as cheap garbage liners, and numerous useful life hacks.) It is hard to erase the cultural significance of plastic bags, so it is important to have an equal or better alternative. According to the California Grocers Association, standard plastic bags cost about 2 cents while a biodegradable bag costs about 15 cents. If a sustainable biodegradable bag can be created, laws banning plastic bags would be extremely effective. If that can’t be done, places with plastic bag bans should consider programs for recycling plastic bags. It’s hard to change culture.